One of the most important tasks you need to undertake to move your company forward is to define the roles and jobs within your company. If you are a 1-3 person shop, each person may play some or all of the roles. But once you have the roles defined, you can begin hiring people. You will use your role definitions to define the daily, weekly, monthly, and annual goals. And once you actually have different people in each role, these definitions will help you evaluate performance. I'm going to give some very generic role definitions, beginning with the Service Manger. 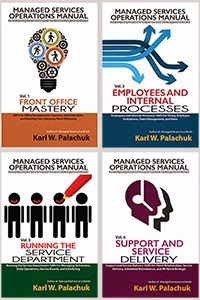 These are based on a managed service business - not a break/fix shop. You can modify for a break/fix operation, of course. You will also modify these roles to fit comfortably in your own organization. Some of these items are mental reminders rather than actions you tick off a list. Perhaps those could go on a poster next to your desk. And, of course, you can add as much more detail as you wish. If I missed anything really big here, please let me know. • Track all work billable or not for the entire technical team. • Mentor Technicians on any aspect of their position. 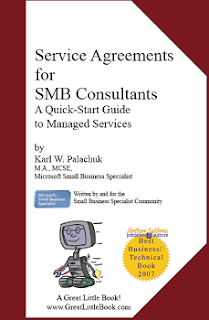 • Coordinate and schedule resources for service requests. • Manage activities of all technicians. • Manage work flow of all service requests. 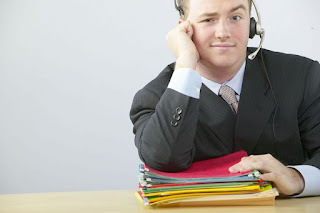 • Work Service Requests as assigned according to the company workflow procedures. • Review tech time cards to ensure they are being kept up to date in real time. 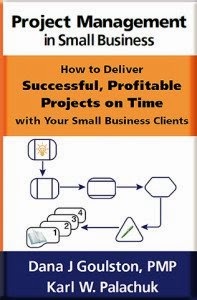 • Review and manage the Service Request backlog as needed to ensure all SR’s are correctly prioritized, scheduled and moved through the system as desired. • Check with each technician at the end of the day and note all issues requiring priority attention. • Review, revise and annotate the proposed invoicing for the past week. • Review all requests for Personal Time from technicians and ensure they are on the schedule. • Preview the upcoming weeks and schedule technicians to tasks as early as possible. • Coordinate any planned out of town services with the technician and the client. • Plan for the Monday Morning Meeting and draft an agenda. • Review time cards and see them all through the submission and approval process. • Monitor and support the progress of technicians written quarterly goals. • Prepare the tech schedule for the next week. Verify that technicians are aware of any changes from their normal schedule. • Review and revise previous month's Monthly Maintenance Checklist* as needed. • Implement any system wide changes to the Monthly Maintenance Checklist. • Monitor all Monthly Maintenance progress and manage the process. • Plan and schedule Final Friday Training. • Review Monthly Single** Tracking Sheet and proposed items for Monthly Single to monitor progress and manage the process. • Create and review the Monthly Single Checklist for the next month. • Manage the SharePoint data and access to that data. • Schedule any short notice training for technicians as required. * We will discuss the Monthly Maintenance Checklist in a separate post. This is a customized checklist for each client that assures regular maintenance of their servers. ** We will discuss the "Monthly Single" in a separate post. Basically, this is a different task that is performed each month across all client systems. • Schedule Quarterly Reviews for each Technician in the second week of the quarter. • Prepare each Technician's Quarterly Review including their new Quarterly Goals. • Plan and, if possible, schedule any training for the technicians. • Review the year and summarize successes, and fails. Pay special attention to the goals agreed upon for the year. • Establish goals for the year ahead. • Participate in the annual company roadmap meeting. • If you have budget authority, prepare your department budget for the next year. Customize this definition based on the processes and procedures of your company. So what do you do with this document? First, you need to make sure that you have "buy-in" from the service manager and anyone above the service manager (general manager, president, owner, whatever). Second, you need to make a point of evaluating and fine-tuning this document at least once per quarter for the first year you use it. Make it truly reflect this job position. Third, you should inform the technicians about this process. It will help them see that the Service Manager is evaluated on many things that affect them. These include keeping the service board up to date, getting time cards in, working in real time, and much more. Fourth, when the time comes to hire a new Service Manager, this document can go a long ways in defining that position for your help wanted advertisements. Thanks for a great read. As Steve Jobs has said : “Innovation is what separates leaders from followers.” !